Ice Cream Soda; Delaware Punch . . .	Is It Uhtz or Ootz? Wow! Thanks to WordPress’ Freshly Pressed highlight of my blog, I’ve had well over 1,000 visitors so far today from 13 different countries. Welcome to you all! And thanks for the nice comments. I hope you found the blog worth your while, and will come back to visit often. Today, I toured the main Utz snack factory in Hanover, Pennsylvania, with my daughter and grand-daughters and will be posting on that in the next day or so. As always, I’ll try to come up with a different outlook on the subject and explore a bit to provide you with a unique and fun report. By the day’s end (and it seems that WordPress runs on Greenwich Mean Time), there were over 1,200 visitors here. Thanks, all!!! 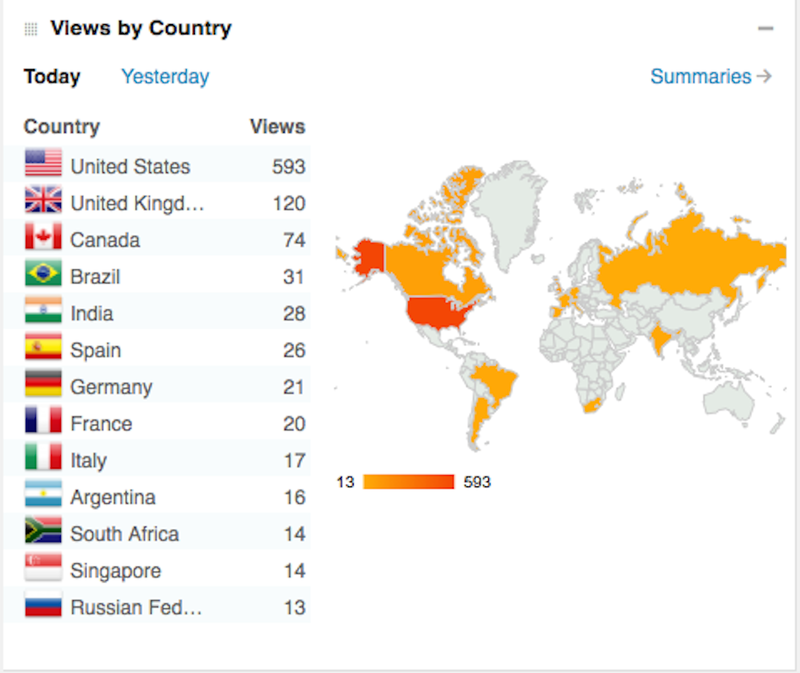 Here’s a screen-grab of a breakdown by country which I took a few hours before the day ended. It gives an idea of where the readers were from at that point. How cool!! !